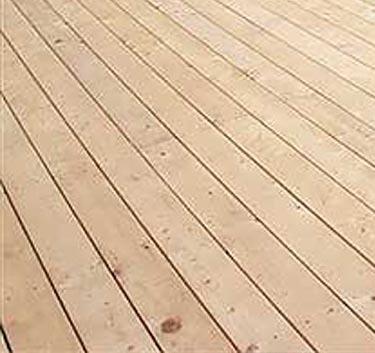 The natural beauty and decay resistance of Port Orford Cedar make it ideal for decking. It is also one of the strongest cedars with strength values comparable to Douglas Fir. Beauty, strength and durability make Port Orford Cedar very versatile. Left in its natural state, it turns a silver hue that is both elegant and stately. If you prefer, Port Orford Cedar stains beautifully so it can fit into any decor or color scheme. Just inland from the rugged Southern Oregon coast is where these special and unique trees grow. Historically, Port Orford Cedar was the preferred wood for boat building. Master boat builders chose it for its strength, durability and decay resistance. These same unique qualities are present in our products today, just as they have been for generations. You can depend on many years of service from Port Orford Cedar. FASTENING: When screwing joints or ends of boards, pre-drilling is recommended to avoid splitting. Do not over screw! 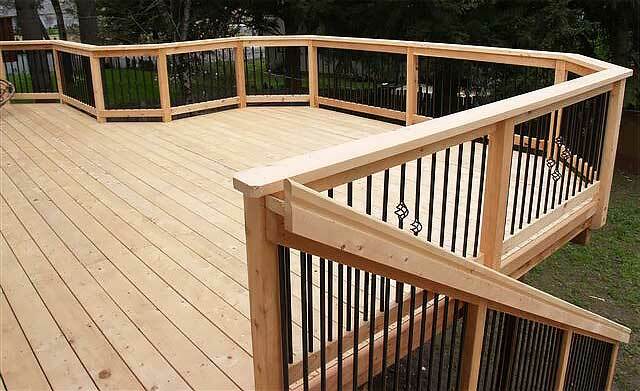 Screws should be driven flush with the surface of the deck otherwise you create a hole which could hold water or dirt. Two screws in the face will always give the most holding power. Hidden deck fastener systems are also available. Hidden deck fasteners do not have the holding power of two screws in the face but they do have a cleaner look with the screws out of sight.